Home / Health / Sleep / How Can Short Sleeper Happen To You? 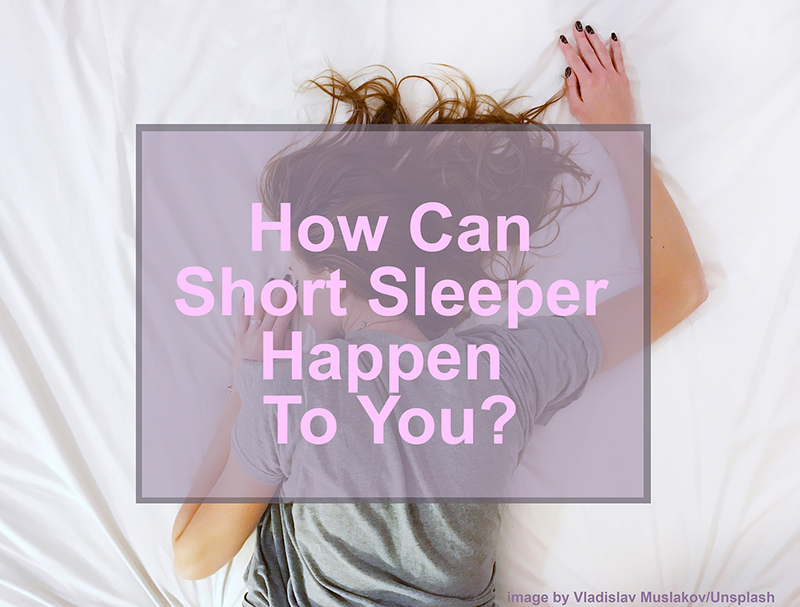 How Can Short Sleeper Happen To You? Short sleeper syndrome (SSS) is a term that refers to abnormal sleep patterns experienced by only a few people. Individuals with SSS do not deliberately limit sleep time, nor do they sleep for a while because there is not enough time. Their bodies feel they have enough sleep with only 3-5 hours. Even the sleep patterns remain consistent during weekends and holidays. It has become a recommendation, normal nighttime sleep for adults ranges from 7-8 hours. Although sleeping less than 6 hours can reduce health and activity performance, some people have very short sleep patterns, around 3-5 hours, but still can do activities optimally. Even though they have a shorter sleep time, they wake up from sleep in a fresh and powerful state like individuals with normal sleep time in general and do not have to "pay" less sleep during the daytime. How can short sleeper syndrome occur? Changes in sleep time may occur during childhood or adolescence and continue into adulthood. A study shows that some people encounter gene mutations that cause them to think and move normally despite having a shorter time. This condition can be reduced, so individuals who experience short sleeper are likely to have family members with the same sleep pattern. When you fall asleep, experience a variety of cell improvement processes including brain cells, and this process has varying times. The condition of mutation of the short sleeper syndrome-causing gene can trigger cell improvement when sleeping becomes less likely. According to a clinical neurologist from the University of Utah, Dr. Christopher Jones (as reported by dreams.co.uk), "Individuals with SSS have a more upbeat mood and thinner body shape, while individuals who experience sleep deprivation due to sleep disturbances are more likely to be obese." individuals with SSS tend to be more resistant to psychological pain and pressure. In healthy individuals, SSS conditions do not cause health problems because they move according to their respective biological hours. Short sleep can meet the time for cell regeneration so that sleep time becomes more efficient and remains quality. But keep in mind, SSS conditions are not experienced by everyone. Fulfill normal sleep needs if you feel weak and experience various symptoms of sleep deprivation while sleeping less than six hours. Things to note if your sleep duration is too short. In addition to the genetic conditions that cause sleep too short, a person's sleep time can vary depending on consumption patterns, level of activity, and mental condition. Some people even need to sleep up to 11 or 12 hours to feel optimal body freshness. Without realizing the change in sleep can also make you accustomed to falling asleep too short or too long. If you have the same characteristics as above and/or have a sleep disorder, that means you do not experience short sleeper syndrome and may require improvement in sleep patterns. Also, read Microsleep: Why Do I Get a Brief Falling Asleep Without Knowing?